What is Geek Week? 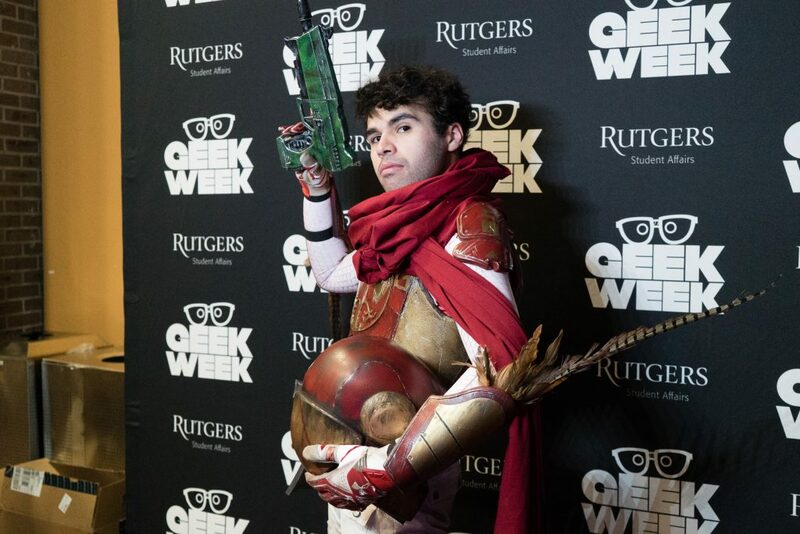 Geek Week is an nationally recognized annual week of events celebrating all things “geeky” at Rutgers University. From tabletop and video gaming, to music, cosplay, academic panels based on gender and ethnic diversity, and more. 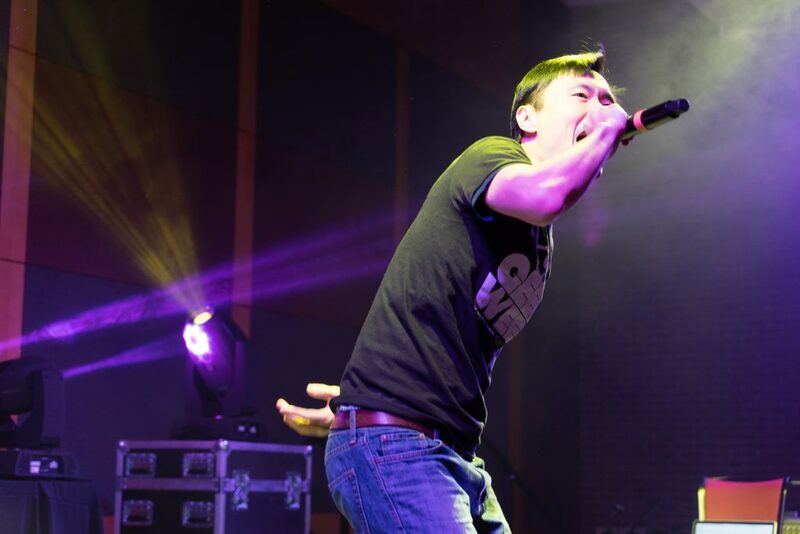 By focusing on the students and their passions, Geek Week seeks to make meaningful differences in students lives by providing opportunities for them to find community, be accepted, and gain exposure to non-familiar topics and experiences in geek culture. Trivia Night: One Quiz To Rule Them All! Come out and enjoy an awesome night of geeky trivia! We’ll have questions covering the wide breadth of geekdom, everything from Star Wars to Game of Thrones, tabletop gaming to Internet culture. Bring your friends and compete as a team (up to four members) or come to meet some fellow geeks! The top three teams will win fun prizes and there will be free food for all! To pre-register your team and reserve your spot, click here from your scarletmail account. Join event sponsors Rutgers Geek Week and CDW-G for the Rutgers Digital Transformation Expo featuring innovations in the Internet of Things (IoT) and Artificial Intelligence. This event is open to the public and free of charge. There will be demos that you can try yourself, giveaways, free food, presentations by key companies in the industry, and a chance to meet representatives from those key companies. The event runs from 10AM until 4PM and you are encouraged to attend for as little or as much as your schedule allows.Event is free and there is no need to pre-register! Join us for a free screening of the movie Scott Pilgrim and enjoy free pizza and snacks! SAVE THE DATE for a friendly night of video game competitions, prizes and bragging rights! Raffle prizes every 1/2 hour, $100 Visa gift card for winner of Super Smash Ultimate, and multiple $30 gift cards to be given away! Unleash your inner bender during the Geek Week event at the Honors College (Druskin Lounge) on February 28th with Avatar: The Last Airbender! Put your knowledge to the test with some trivia for a chance to win some exciting prizes, as well as enjoying Iroh’s Tea and different activities based on your element. Aang hopes to see you there! As always, we try to pack as much nerdy awesomeness as possible into one single night. Amazing musical guests Super Thrash Brothers, karaoke, a cosplay costume contest with awesome prizes, video and board games, geeky vendors, tons of free food, and so much more. Also, if you attend events earlier in the week, this is the event where you can claim your free Geek Week t-shirt! This year’s theme is steampunk apocalypse and you don’t want to miss it! If your geeky group is interested in participating, please message us at RUGeekWeek@gmail.com to reserve a space for your activities! Stay connected with Geek Week on our Facebook, Twitter, and Instagram account for meeting updates about upcoming events.